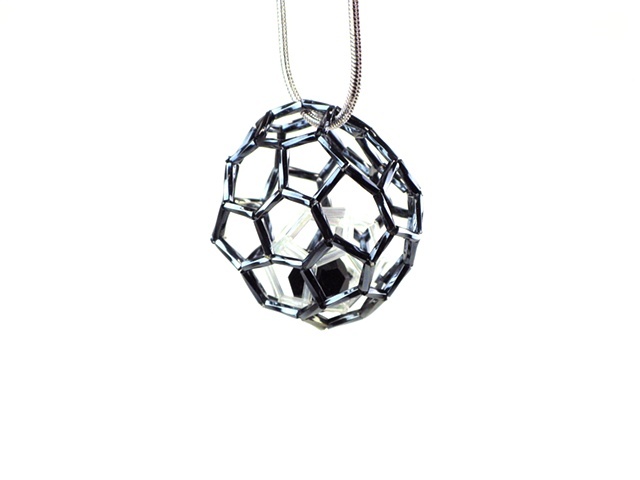 This pendant is a structural bead in the shape of a truncated icosahedron, encapsulating a white dodecahedron, with a black faceted Swarovski crystal at the center. On this image, the structural bead pendant is presented on a thin and short sterling silver snake chain (silver chain not included). If you would like to purchase this piece, please contact me. Postage and handling will depend according to your location.